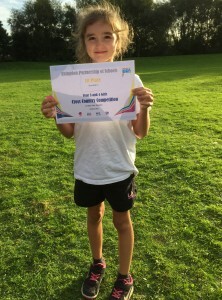 Well done to all our KS2 children who took part in a cross country tournament at Tilsley Park last week. They were Freya, Faye, Seren, Isla, Alex E, Tyler, Sam, Darius, Dyllon, Erin, Millie, Tilly, Evie, Dilan, Charlie R, Jamie B-R and Luca. Special congratulations to Faye and Freya who came 1st and 7th in the year 3/4 girls’ race and Evie who came 4th in the year 5/6 girls’ race.